A historic Desborough pub will be converted into a Costa Coffee after planning permission was approved. The vacant Kings Arms pub in High Street was the subject of a planning application from Gerrys Offshore Incorporations Limited. It wanted to re-fit the pub, which was built in about 1700, and erect illuminated Costa Coffee signs outside. But as the pub was Grade II Listed it had to get consent from Kettering Council, which was granted earlier this month. News of the application drew a mixed response from Northants Telegraph readers on social media. Many were happy that a big chain was coming to the town but others felt it was the loss of a historic building. 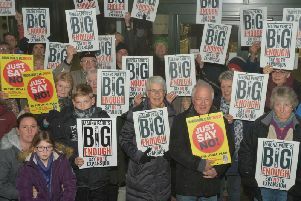 But the plans drew no formal objection from either Desborough Town Council or neighbours.